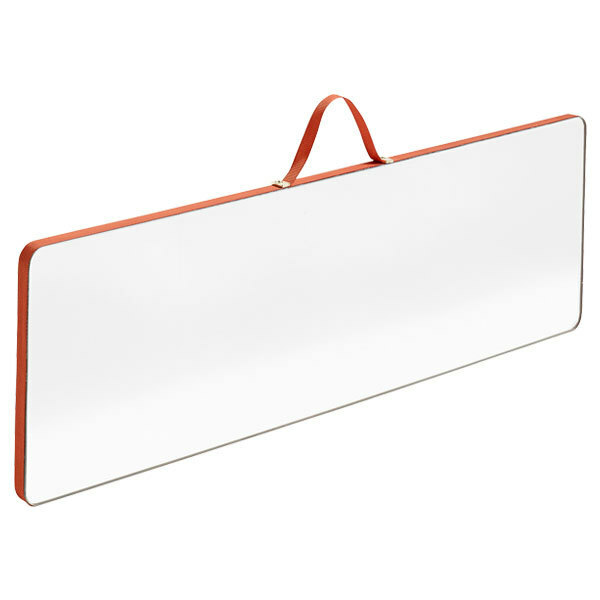 Hay’s Ruban mirrors have a simple square design framed by a bright coloured polyester ribbon. 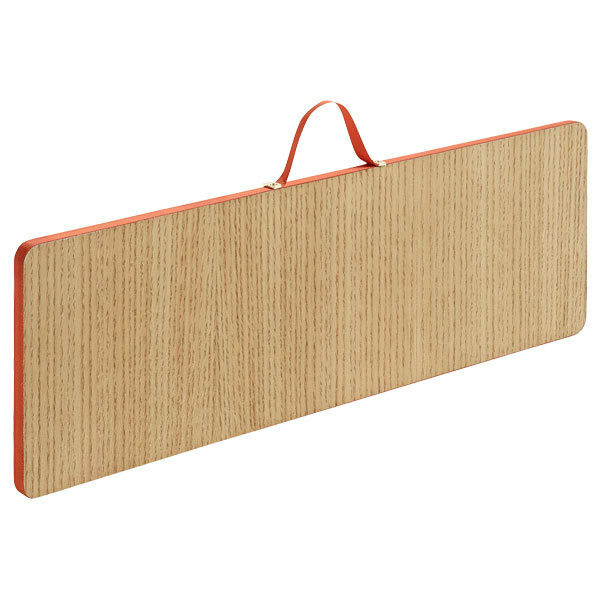 The beautiful reflectors come in different sizes and feature an oak veneer back and a ribbon loop for hanging. For designer Inga Sempé, a source of inspiration for the minimalist shape were the mirrors of old trains. 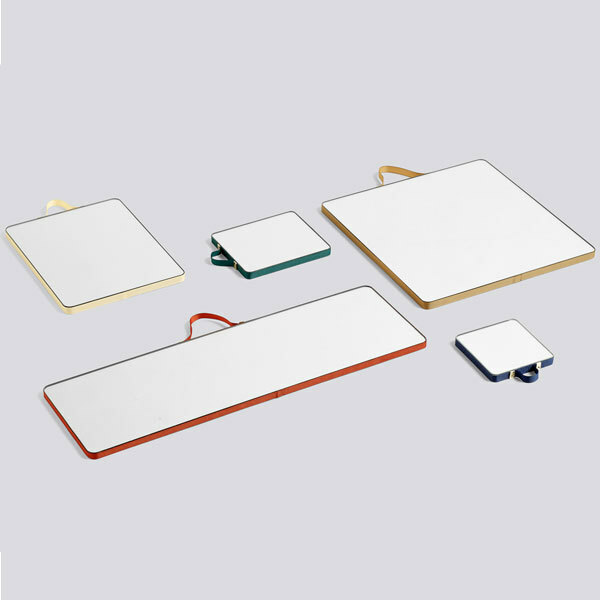 The smallest Ruban mirrors function as tiny, reflecting details whereas the large ones are well suited for daily use. 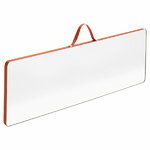 Adorn your wall with one mirror or create a colourful arrangement with two or more pieces. Inga Sempé (b. 1968) is a French designer who graduated from ENSCI-Les Ateliers (French National Institute for Advanced Studies in Industrial Design, Paris) in 1993. Since then Inga Sempé has focused on the design of furniture, lighting, objects and fabrics. At the beginning of her career, Inga Sempé collaborated with the Italian companies Cappellini and Edra. Now she works among others for French companies such as Ligne Roset, Moustache, Domestic, Baccarat; Italian companies like LucePlan as well as Scandinavian companies such as David Design, Hjelle, Almedahl’s, and the American company Artecnica. For the Swedish company David Design Inga Sempé has created the Double Access shelf and La Chapelle table. The Double Access shelf is an original piece of furniture which can be used also as a room divider as the shelves can be accessed from either side. The style reflects a beautiful asymmetry and has a sculptural effect. La Chapelle is a table with a light leg structure and an original look, a centrepiece of any dining room. La Chapelle table was nominated “Furniture of the Year 2008” by the leading Swedish interior magazine Sköna Hem. Inga Sempé has exhibited extensively across the world and has several international design awards to her name, including the International Press Critics Prize, lighting category, at an exhibition at Espace Cardin in Paris in 2000 and the Grand Prix de la Création de la ville de Paris, a design prize awarded by the City of Paris in 2003.